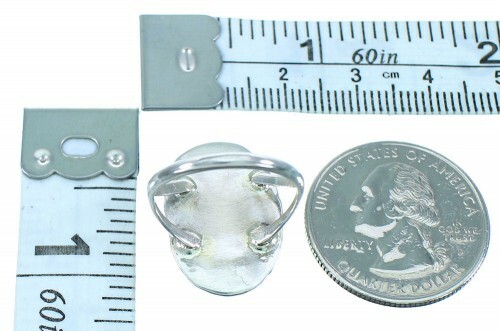 Expect plenty of complements while wearing this dazzling ring! 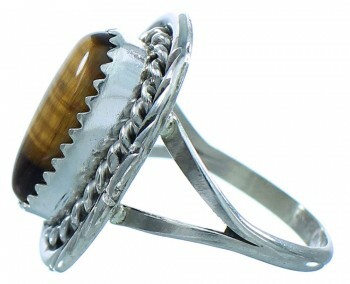 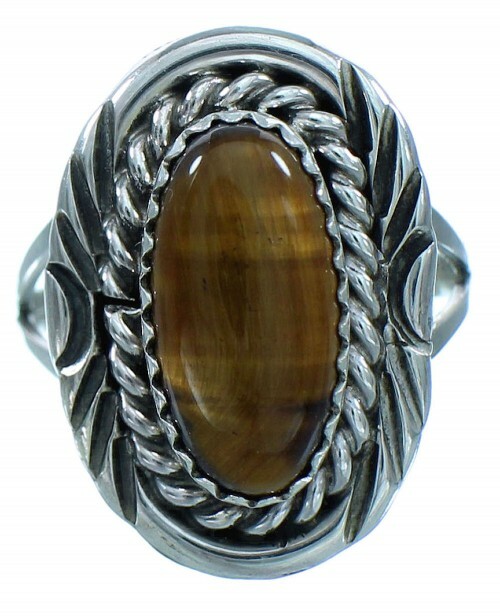 This piece of Native American jewelry is Navajo hand crafted by artist Gene Martinez Sr, out of genuine sterling silver and a real Tiger Eye stone. 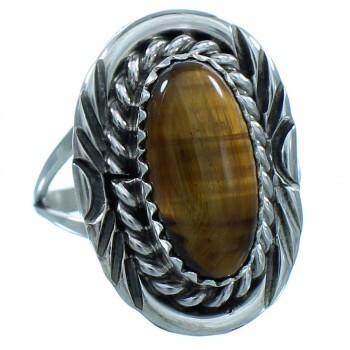 The stone is carefully placed in a hand cut bezel setting, while being accented by stamped patterns and twisted silver for a marvelous finish.